Maintaining oral hygiene is very important as it reflects the health of the body. Poor dental health can lead to tooth problems like cavities or tooth loss. Procedures that help to ensure oral health include root canal, dental implants, fillings, braces and dental cleaning. Dental implant is a surgical component that is fixed into the jawbone and allowed to fuse with the bone over the period of few months. The dental implant thus works as a substitute for the root of a missing tooth. The dental implant, which is made of titanium, is then positioned into the bone socket of the lost tooth. Over the course of time the jawbone heals and grows around the implant, fixing it firmly in the jaw. The recovery period normally is about six to twelve weeks. After the positioning of the implant to the jawbone, a small connector called an abutment is fixed to the implant to securely hold the new tooth. In order to construct the new tooth, the dentist makes impressions of the teeth, and creates a model of the patient’s bite. The new tooth is based on this model. A replacement tooth, called a crown, is then connected to the abutment. Dental implants need the same requirement as normal teeth, including regular brushing, flossing, rinsing with an antibacterial mouthwash, and routine dental check-ups. The cost of the implants varies according to personal requirement. The cost of the dental implants can be approximated in between INR 3000 to INR 50000. A dental filling is used to repair the function, integrity and structure of a missing or broken tooth. Various dental filling materials are available. Teeth can be filled with gold, porcelain, silver amalgam or tooth colored, plastic, and materials called composite resin fillings. The first step involves numbing the area around the teeth to be treated using a local anesthetic. Using a drill, air abrasion instrument or a laser the damaged area is removed. After completely removing the decay, the dentist will arrange the space for the filling by cleaning the cavity of bacteria and debris. If the damage is near the root, the dentist may first put in a liner made of glass ionomer, composite resin, or other material to save the nerve. Once the filling is fixed, the dentist will polish it and finish off the procedure. A good dental hygiene is mandatory for maintaining a dental filling. This involves brushing the teeth regularly, flossing, rinsing the mouth using an antibacterial mouth wash and also regular check up with the dentist. The cost of dental filling mainly depends on factors like the filling material used, facilities available in the hospital and qualification of the doctor. It can be approximated around INR 500 to INR 3000. 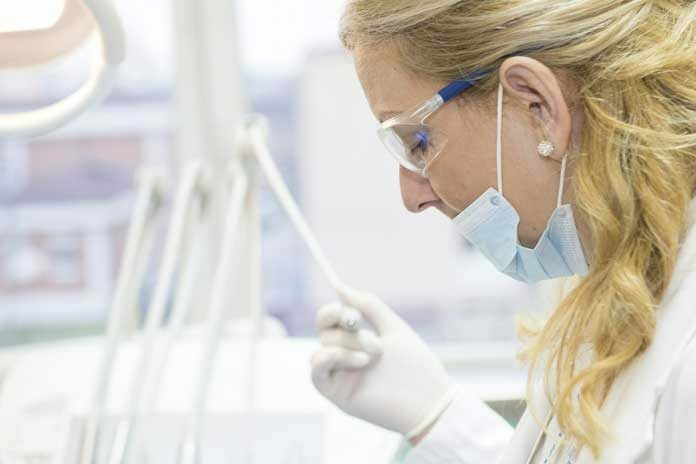 Dental cleaning involves the removal of mineralized plaque or bacteria that may accumulate over the span of time, especially in areas that are difficult to reach in regular tooth brushing. This procedure involves cleaning gums using a scaler, where the dentist removes plaque and tartar around the gum. Along with this, bacteria from the root are also removed. It is recommended to perform dental cleaning every six months. More recurrent cleaning and assessment may be necessary during treatment of dental and other oral diseases. Regular examination of the teeth is recommended annually. The cost of Dental cleaning in India can range from INR 500 to INR 20,000 depending on the clinical settings and severity of the plaque. Dental braces are also known as orthodontic cases. They are devices used to align and straighten teeth and also to correct any irregularities of the teeth. The braces used may consist of bands, wires, and other fixed or removable corrective appliances according to personal needs. The initial visit with the doctor includes a preliminary examination, review of dental history and getting X-rays of the teeth and mouth. This helps the dentist to decide whether the condition actually needs dental braces. Prior to fixing the braces the teeth are primarily polished to make sure that the brackets will attach properly, after which they are air dried. A conditioner is applied on the front surfaces of the teeth for a few seconds to prepare them for bonding the brackets. This is then cleaned wiped off, the teeth are dried, and then an adhesive primer is applied on the teeth to augment the bonding process. Cement is positioned on the back of the brackets, which are then applied to the fixed positions on the Then the brackets are fixed into place with a high intensity light and then the dental arch wires are put into place. The dental braces needs regular adjustment appointments because the elastic bands holding the dental wires in fixed place stretch and grow weaker over time. Proper oral hygiene is vital for the success of the treatment. Once the dentist confirms that the treatment is complete the braces are removed. The average cost of dental braces in India ranges from INR 3000 to INR 1, 20,000 which depends on the age and severity. Root canals help to save damaged or decayed teeth. It is important to treat an infected tooth by opening it and cleaning out the infected tissue in the centre. The space is then filled and the opening is sealed. The need for root canal can be confirmed by using an X-ray. Local anesthesia is administered before the treatment. Then the infected pulp is separated and the inside of the tooth is properly cleansed and disinfected, then filled and sealed with a rubber like material called gutta-percha. The final step involves the restoration of the tooth with a crown or filling for protection. After the procedure, the tooth continues to function like any other normal tooth. The recovery is comparatively quicker and most patients can resume their normal activities the next day. Root canal treatment is very common in India and available in most of the clinical settings. Cost of Root Canal Treatment in India can vary from INR 1500 to INR 12,000 approximately; depending upon the position of tooth and levels of severity. Sushma is a Freelance Medical Writer. she has two years of experience in writing articles on Health. She likes to share information related to health.